GSM the most common word in textile sector. You will not find anybody who works in the apparel sector, but didn’t know about GSM. Though we all are well aware about GSM, but today again I will try to tell you something more about GSM. GSM mean’s weight of 1 (one) square meter fabric in gram. 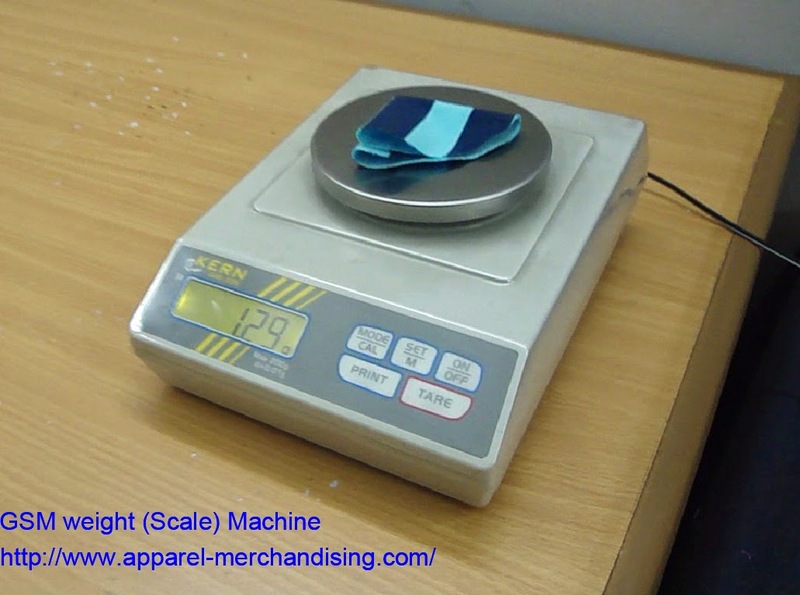 That means if we cut one square meter fabric and measure the weight of it then which result we will be get, it will be the GSM of the following fabric.
"" 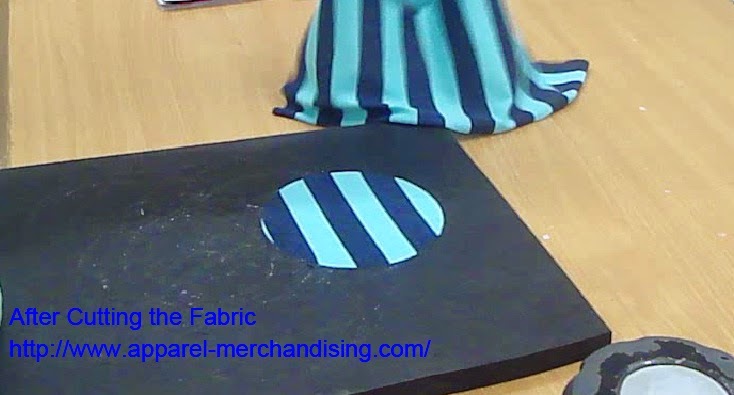 The weight of a fabric can be expressed in two ways, either as the ‘weight per unit area’ or the ‘weight per unit length’; the former is self explanatory but the latter requires a little explanation because the weight of a unit length of fabric will obviously be affected by its width. In woven fabric, the weight per unit length is usually referred to as the ‘weight per running yard’. It is necessary therefore to know the agreed standard width upon which the weight per running yard is based. Usually this width depends upon the width of loom. Before coming the term ‘GSM’ there was another term called ‘lb/100 yards’. This expression is used by British Standard. For measuring this there are a template and a quadrant balance. The template area is 1/100 square yards of which each arm is 1/10 yards in length. 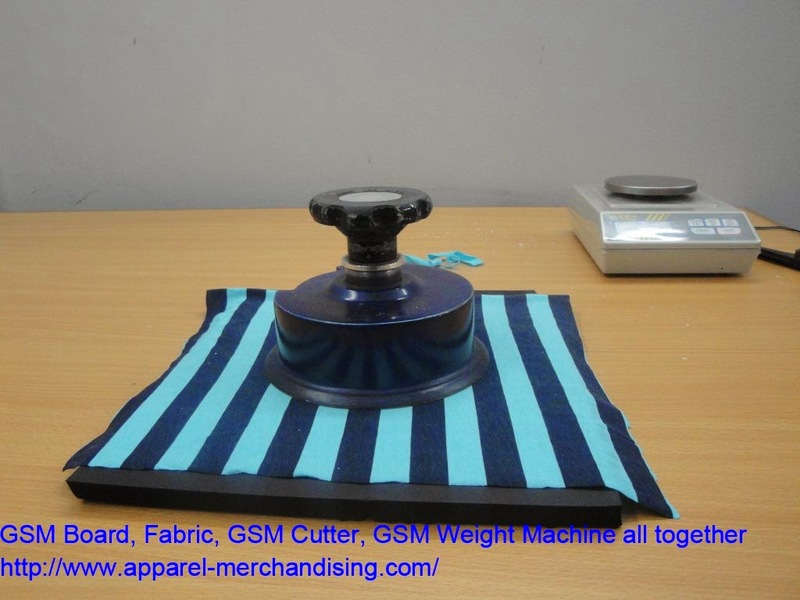 For measuring GSM, a GSM cutter is used to cut the fabric and weight is taken in balance. 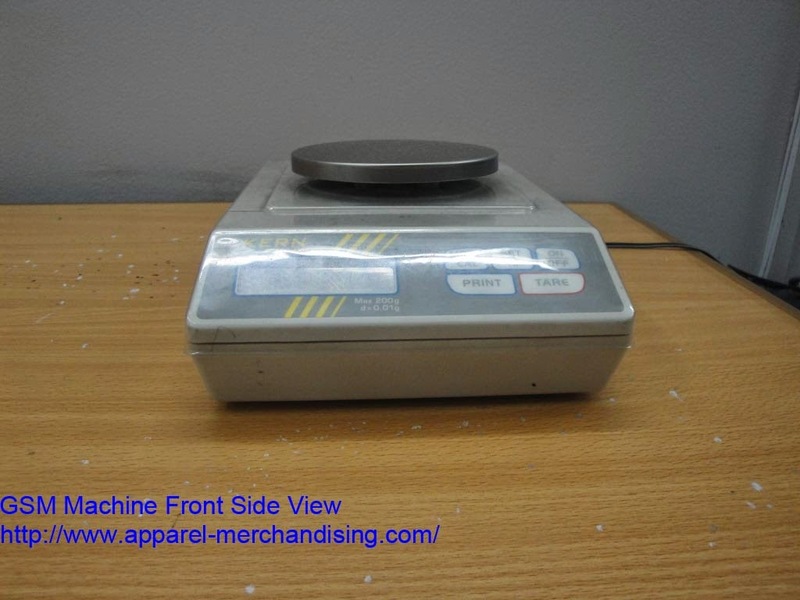 Both of these measurement and method is equally used for both woven and knitted fabrics."" Normally we used “GSM” against to circular knitted fabric. For denim fabric we use Ounce. The main reason of using GSM in knit fabric is the way to sell and buy of knit fabric. 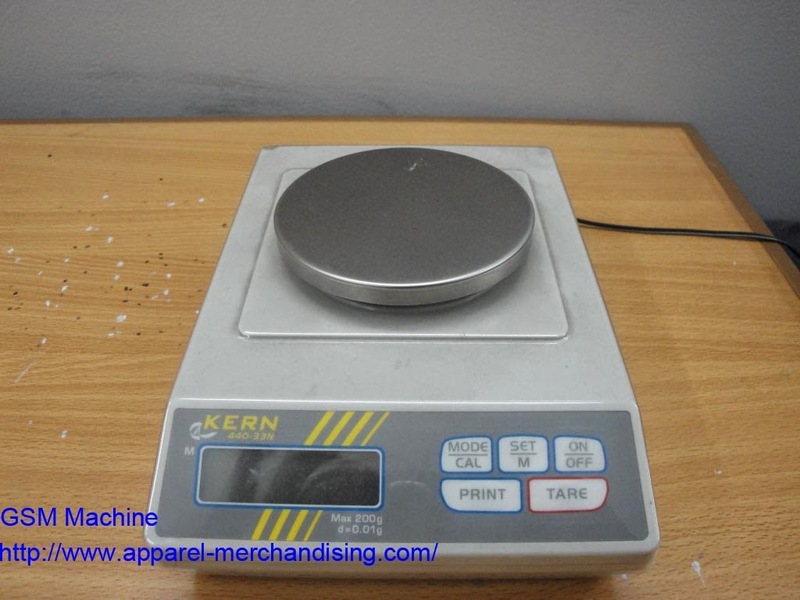 We buy and sell the knit fabric in KG (Kilo Gram). And we buy and sell the knit fabric in KG because the length and width of the knit fabric are not stable as like as woven. Many times we saw after coming the knit fabric from the dyeing factory, the length of fabric is becoming smaller after a relax. Suppose if we bring the fabric roll from dyeing as 100 yards, but the next day after relaxes, we will get it 99/98 yards or something like that. In other hand, during buy and sell of denim/woven fabric we measure it in yards. We use ounce for explaining the thin and thickness of the fabric. Many people also use GSM for woven fabric. Actually, GSM is the KING of the textile. The whole process, which we do before produce the fabric, is just for to get a specific GSM. Find below the list of actions which we take only to meet the correct GSM. 1. Select the count of Yarn. 2. Fixed the knitting machine tension. 3. Select the stitch length. Actually, GSM makes the difference between product category and season. Normally, we use light weight fabric in summer and heavyweight fabric in winter season. 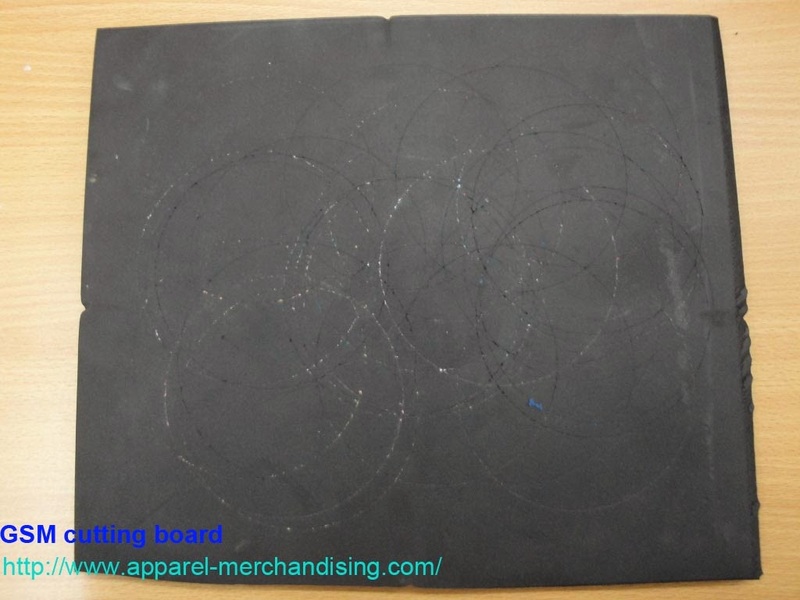 Also, we normally use 140 to 180 gsm fabrics for T-shirt, Tank top, 180 to 220 GSM fabrics for Polo shirt, and 220 to 300 GSM fabrics for Sweatshirt, Jacket, Hoodie, and Trouser etc. The prices of a garment are also dependable on GSM. 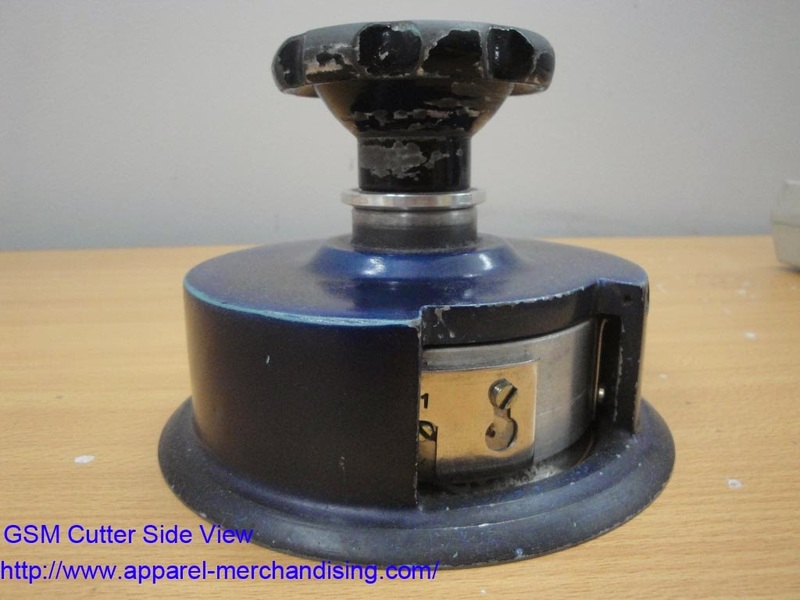 The price of T-shirt with 140 GSM will be much lower than a 180 GSM T-shirt. In other hand lighter GSM knits fabric price is little bit higher than heavy GSM fabric. Because we need fine/light count yarn to get the lighter GSM fabric. Such as –If we want to produce single jersey fabric with a GSM 140/145 then we have to use 30/s yarn and to produce a s/j fabric with 165/170 GSM then we have to use 26/yarn. The 30/s yarn price is +/- $0.10/kg higher than 26/s. Hope you understand my point. GSM is very important in bulk production also. Many times we got claims from the customer due to incorrect GSM. As per my experience, middle class customers are very conscious regarding the GSM than big retailers. So, be careful regarding the GSM. Please take the below step to reduce the percentages of problem which raise due to GSM. 1. Discuss with your Knitting Manger to select the correct yarn count before purchase the Yarn. 2. 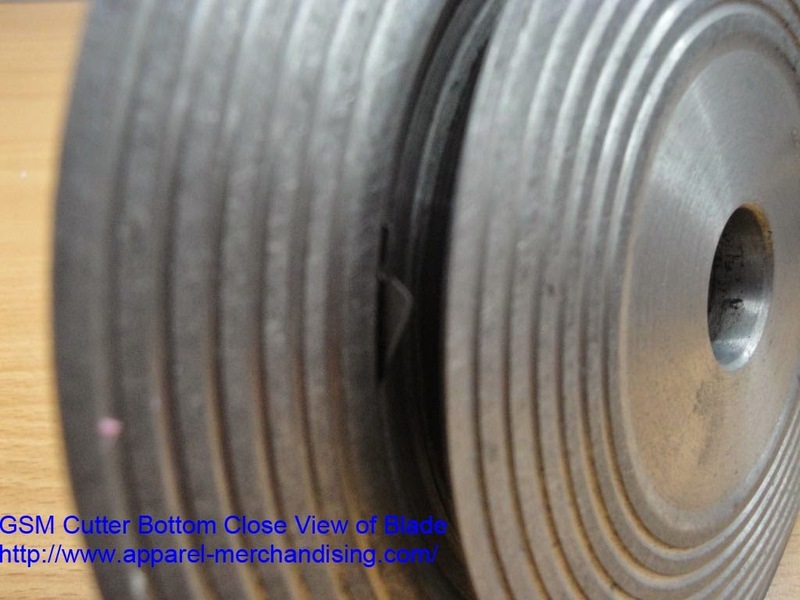 Discuss with your knitting Manger to strictly maintain the standard knitting machine tension. 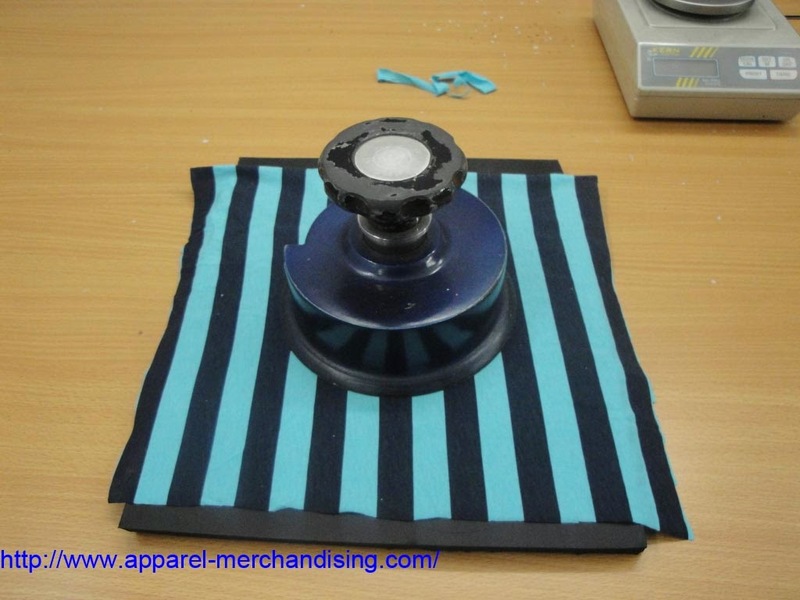 Many times the knitting machine operation changes the machine tension to increase the fabric production. 3. If possible, then please collect the information about stitch length from your Knitting Manager. It will help you in future to get the correct GSM. Many knitting masters of small factory are not well aware about the stitch length. Suppose – if you want to produce 95/5% Cotton/Spdx S/J fabric with a GSM 165/170 then you have to very strict regarding the stitch length and yarn count. In that case Yarn count s/b 40/s (Single), Spandex s/b 20D (Denier) and Stitch length s/b 2.80 otherwise the GSM of fabric will be higher than your requirement. 4. Multi count yarn fabric. There is some fabric which needs different count of yarn to produce it. Such as three ends/thread Fleece fabrics need different yarn counts. 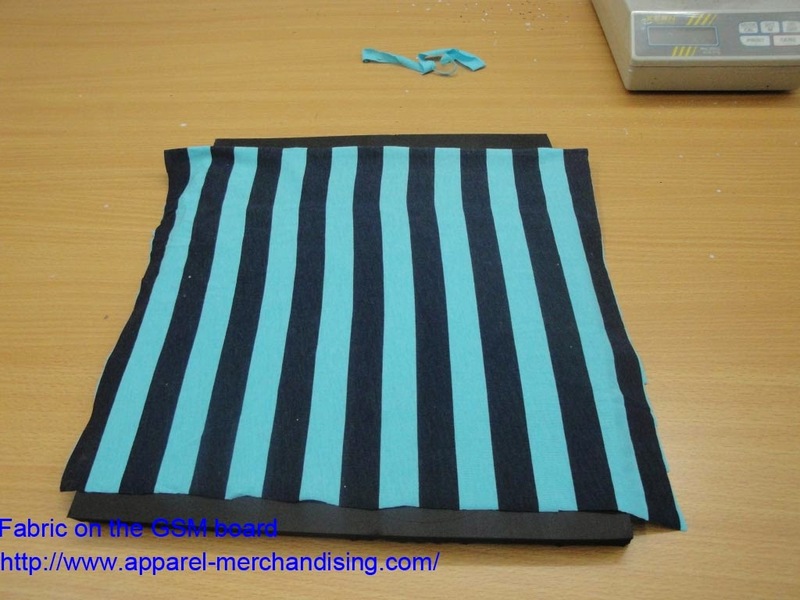 If you want to produce one side brush fleece fabric with a GSM 240/245. Then you have to buy 34/s and 20/s Yarn. Actually the fleece fabric is the modified version of terry fabric. Normally, we are familiar with two type’s terry fabric. The first one is French terry/Three end terry and the 2nd one is Baby terry/Terry. The GSM range for French terry fabric is 250 to 320 GSM and for Baby terry 220 to 250 GSM. You will find more types of terry fabric in the market, but today I will not going to write about them. French terry fabric has two separate parts on it, the base and the loop. The portion of base need 70% yarns and 30% yarns need the loop portion. You need to buy 34/s for base and 20/s for loop. 5. Inform your knitting manger regarding the color details before start knitting. Because, fabric, GSM also many times vary based on fabric color. Normally, light color GSM will be a little bit lower than darker colors. 6. Ensure that, the dying unit are not skipping any process during dying, such – Compacting, Stentaring etc. 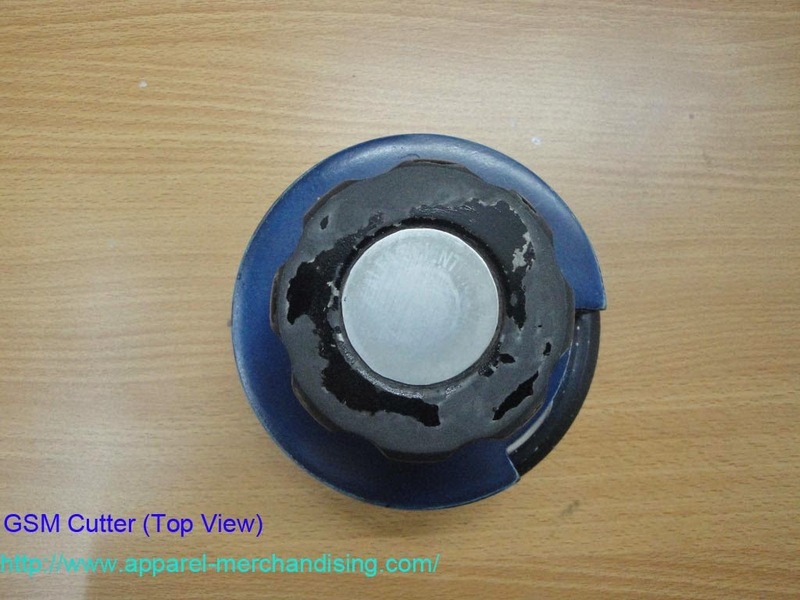 Many times due to missing of these process the fabric quality and GSM not come as per requirement. Also raise some additional problem, such as Shrinkage, Elongation, Twisting etc. 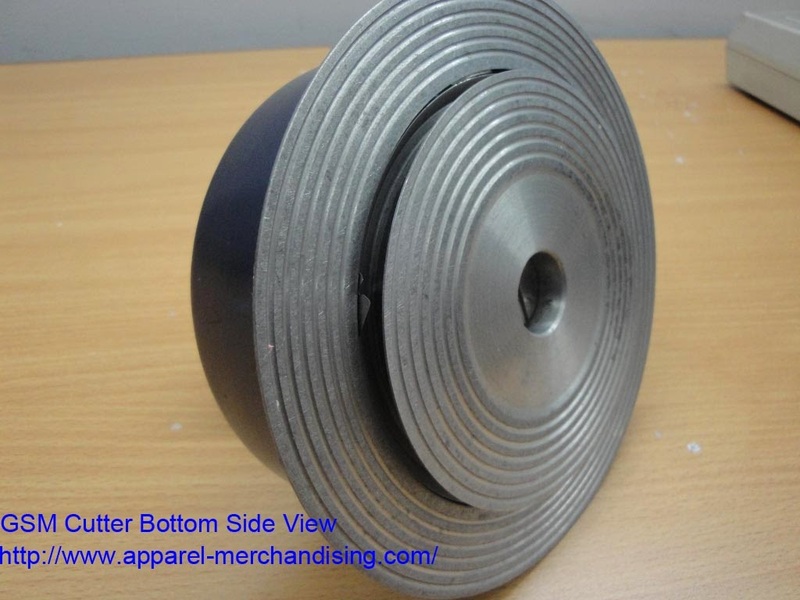 Though the main treatment of twisting is open width fabric finishing. 7. Always communicate with your fabric store and check the bulk fabric GSM immediately after coming it from the dying. Collect the roll-wise GSM report from your fabric QC. It will help you to reduce the last moment problem. 8. 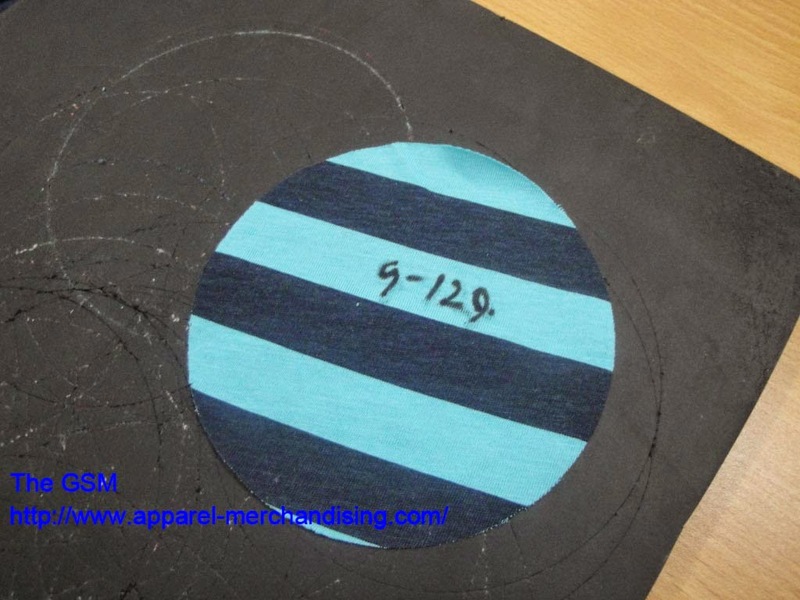 Check the gray fabric GSM before dyeing. Normally gray fabric GSM s/b 22% lower than finished fabric (after dyeing). 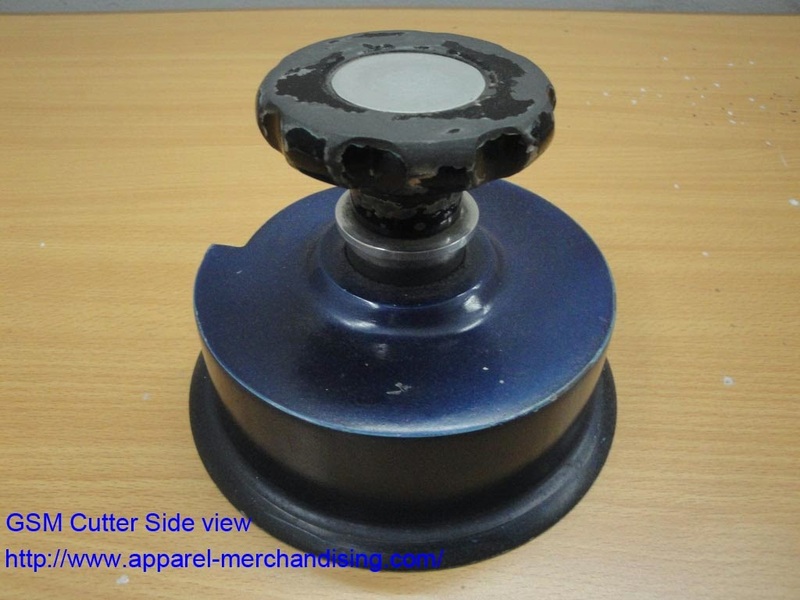 Such as if your finish fabric require GSM is 160, then the gray fabric GSM s/b 125 GSM. But this is not fixed, it can be changed based on the environment and fabric types. 9. Please note there are more reason for changing the GSM. You are going to produce basic T-shirt with a GSM 150. You are buying the fabric in KG. Now, the dying factory has produced the fabric with 160 GSM. Dyeing factory has delivered you total 23,625 kgs fabric as per your booking. As you got the fabric with a GSM 160 instead of 150 GSM. 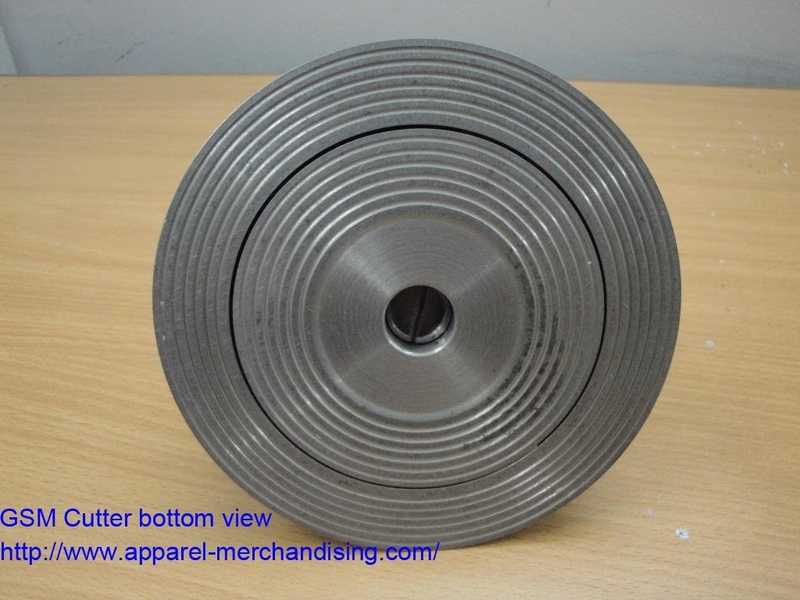 So, now you will need (2.25/150X160 ) 2.40 Kgs fabric to complete the cutting of 12 pcs garments. That’s mean the consumption increased by 0.15 kg/dozen. 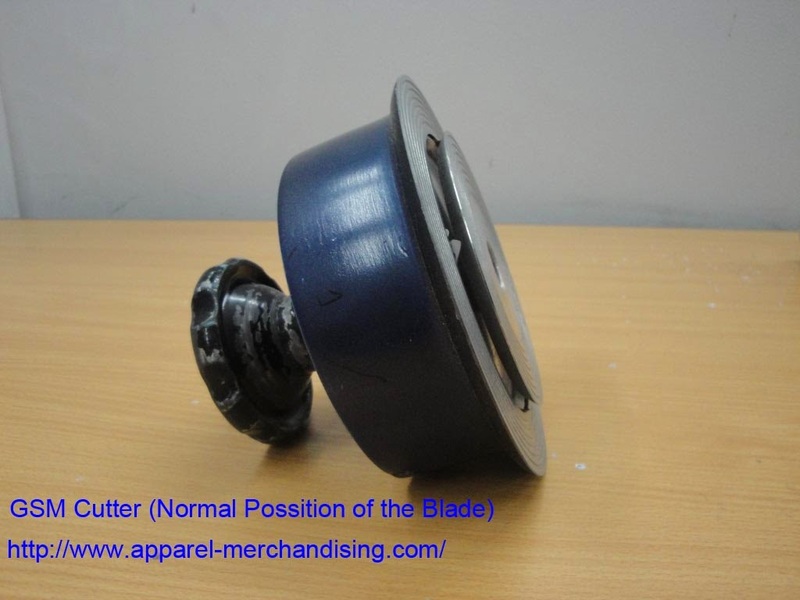 As the new consumption is 2.40 kg/doz, so from 22,500 kgs fabric you will be able to cut 9,375 dozen (w/o any percentage). That’s mean the short cutting qty will be 10,000 – 9,375 = 625 dozen = 7,500 pcs. Now, to fill-up the above shortage you have to buy extra fabric 2.40 X 625 = 1500 kgs fabric. On the other hand, if you produce the fabric in 10 GSM minus then, you will be able to save 1500 kgs fabric against the following orders.